Okay, not an actual map. But a map of time and topics (ahem, yes, I’m desperately trying to dress up a GoogleDoc here) so we can see what will be going on and when it will be happening. This is open to all participants – as and when you start planning your posts / activities, just add them to the schedule so that come May the Wyrd and Wonder team (that’s me, Lisa and Jorie) can boost your posts to share the joy. You can find the Wyrd and Wonder schedule here. …what do you mean, it’s a bit early for a plan? Some of us are organised*. All the better to laugh at ourselves later. Don’t worry, we’re good at improvising when everything changes. * …no, no, I’m not. I’m good at writing to do lists. It’s not the same unless you then do the thing. 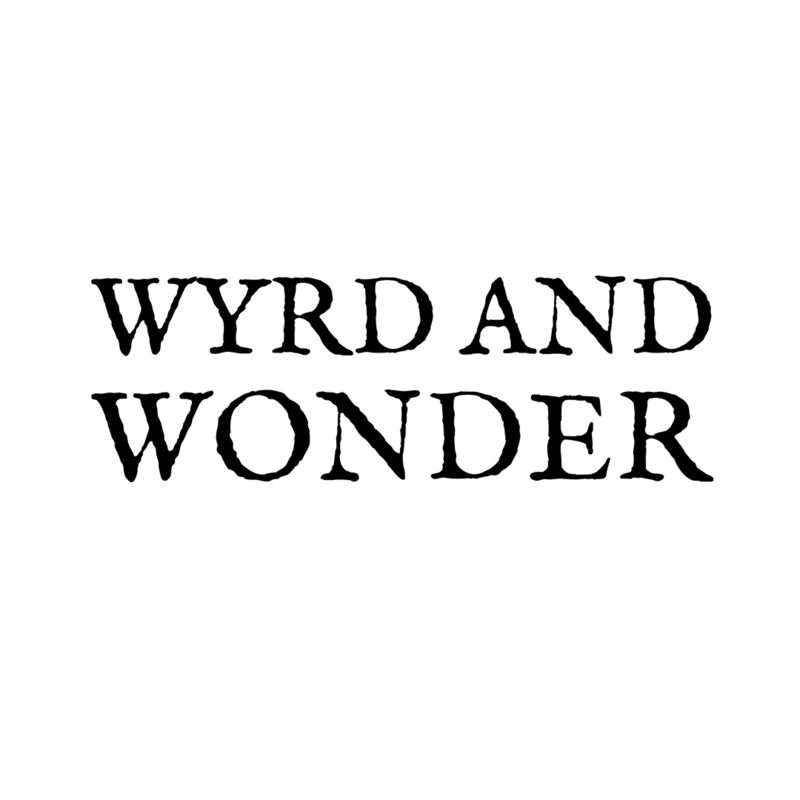 Wyrd and Wonder is open to anyone who wishes to take part – just sign up to let us know you’ll meet us in the Twitter tavern** on May 1st and then join us as we blog, bookstagram, booktube, and flail happily on Twitter. ** Not an actual tavern. Bring your own ale/mead/table. But we’ll be there, and we’ll be merry. They’re not made of silk and they won’t flap bravely from your spear, but they can flutter across the top of your posts. If you’d like to create more and are happy to share them, get in touch! Time to plan our reading and watching lists! Posted in Special Features, Wyrd and Wonder 2018 and tagged books, dragons, epic fantasy, faerie, fairytale, fantasy, grimdark, myth, portal fantasy, urban fantasy, Wyrd and Wonder. Bookmark the permalink. Just signed up! I love the idea and I can’t wait! I already have a discussion post written about the portrayal of paranormal creatures in books that I think will be perfect! I might even have some more discussions on some other fantasy topics, I’ll have to check my list! I don’t really participate in many blogging things, so I’m really excited for this lol. And by written, I do mean simply written but not yet posted. I’m one of those organized ahead of time people lol, so I always have lots of posts ready to go. Now that IS impressively organized!